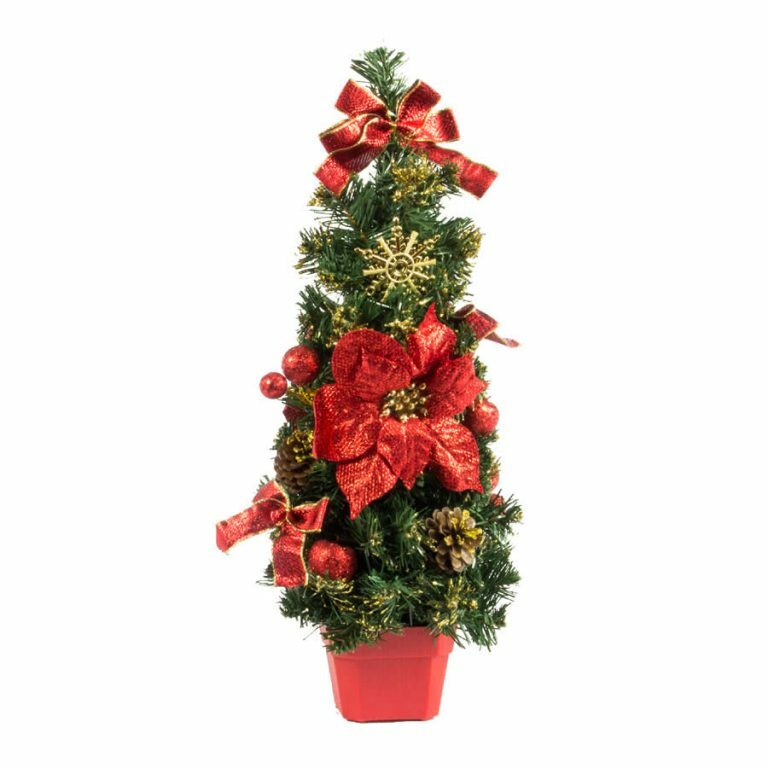 The 40cm Red Table Christmas Tree is a lovely choice for a centrepiece on your Christmas table, or for display on a hall table or mantle. 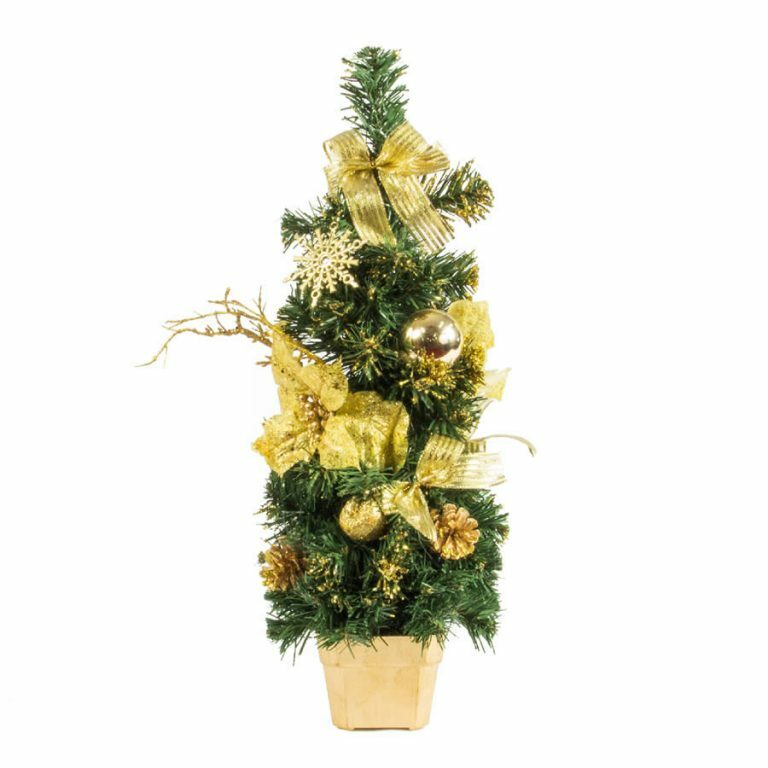 At only 40cm this petite tree will find a niche in your existing decorations, or you can use it as a standalone decoration on your desk at work, or in your home office. 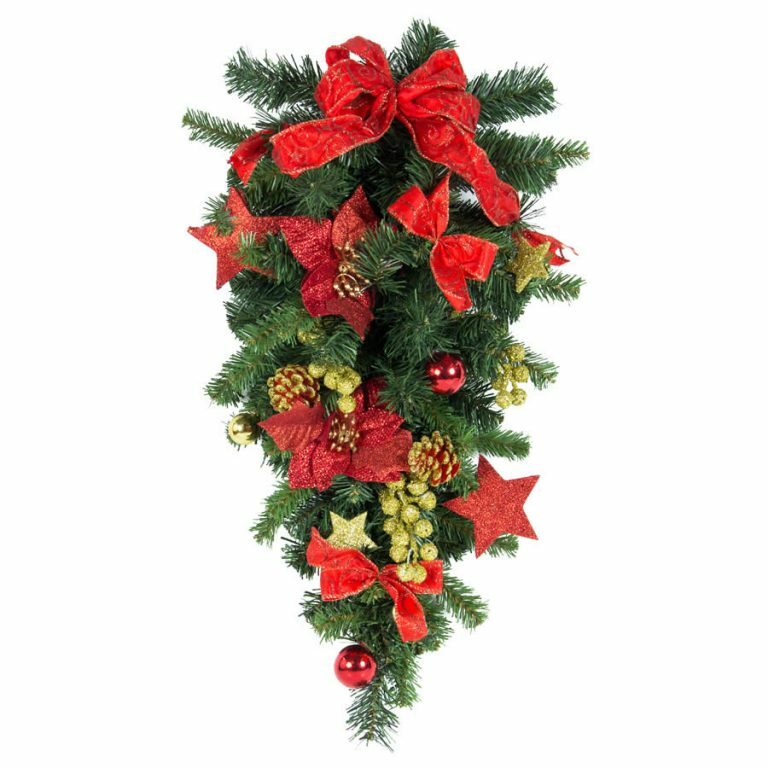 The red bows, gold stars, red baubles, pine cones and red pot create a beautifully balanced decorative piece that is easy to assemble. 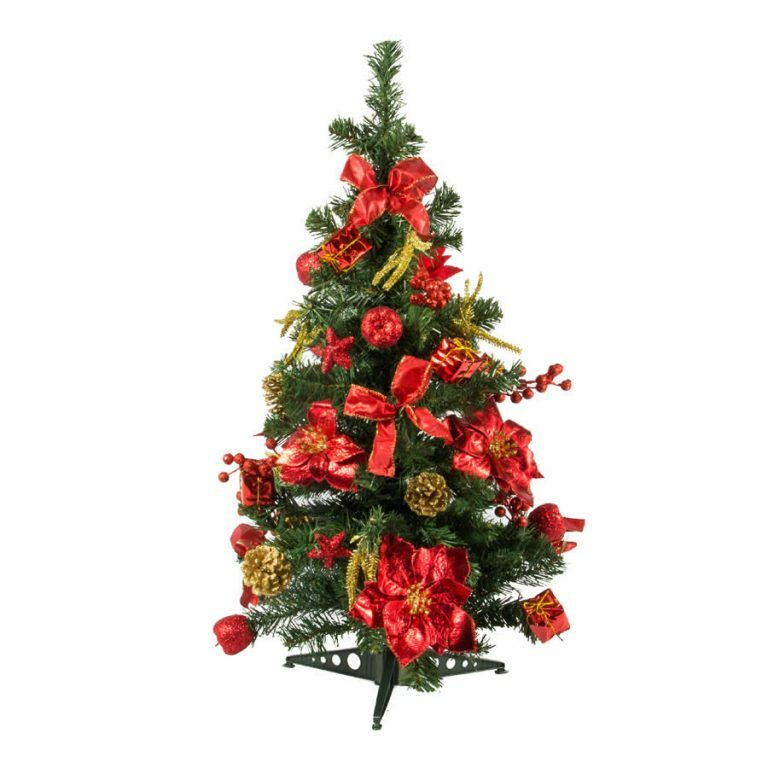 Although the decorations on this tree need no embellishment, there is still scope to add a few accent pieces of your own. Give The Red Table Tree to a friend or family member and they will get years of joy from this divine little tree.